The 1970s in America brought an era of environmentalism unseen by previous decades. These national trends were reflected in the small town of Northfield, Minnesota, with an organization known as Housewives – later renamed Households – Alert to the Pollution in Northfield (HATPIN). Led by a group of local women, the organization sought to preserve a marsh and prairie near an elementary school on the east side of town for the benefit of local students. They recognized the advantages of direct observational learning and advocated within the community for the marsh’s preservation. The women led fundraisers, wrote editorials for the local newspaper and gained community support from Carleton, St. Olaf, and Northfield High School educators, as well as the Northfield students themselves. HATPIN wanted to use the marsh to increase students’ scientific understanding, but they also wanted to foster an environmental engagement within the Northfield youth that would go beyond the classroom. Nancy Cantwell, Cynthia Buchwald, and Corinne Heiberg, among others, created HATPIN to deal with the environmental concerns in Northfield. Many of the women were married to biologists that taught at Carleton College, or grew up on farms and had an inherent love for nature, which sparked their commitment to environmental issues. 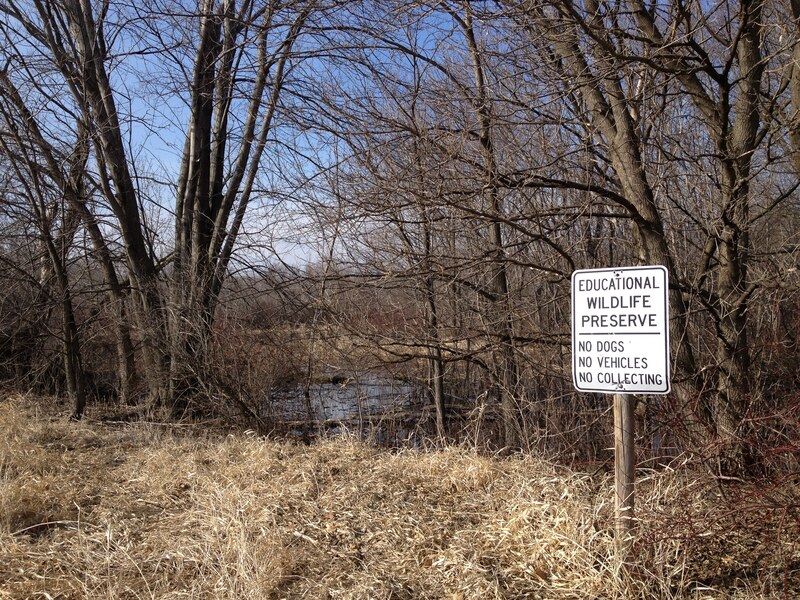 HATPIN officers worried that the development of Northfield would lead to the destruction of Sibley Marsh and Prairie. 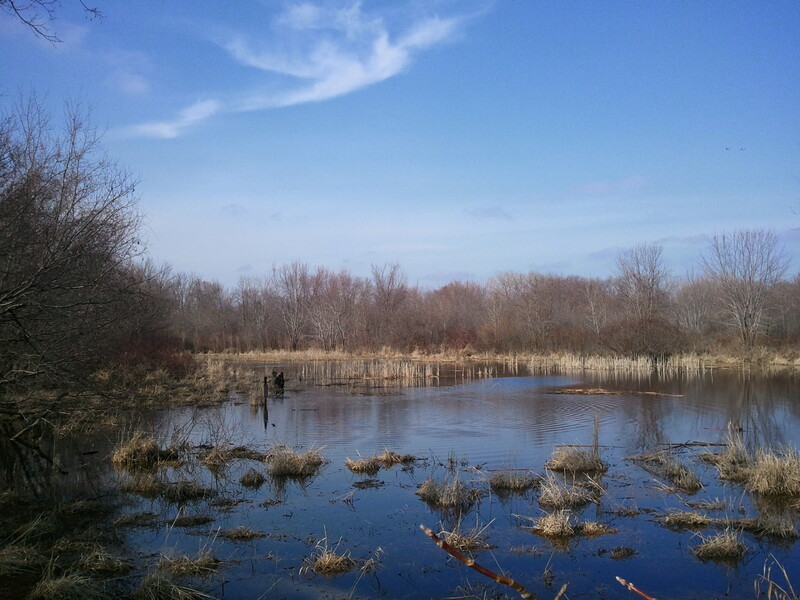 They strongly felt that the area surrounding the marsh and prairie should be preserved in its natural state to be used for environmental education. In 1971, HATPIN established the Sibley Marsh Fund to raise money to buy the marsh for the school board and prevent it from being used for development. Members of HATPIN argued that the land was not fit to build on and would function better as an outdoor classroom for local students. The school board supported the proposal, knowing that the marsh would not be a financial burden and that the entire district would benefit from the outdoor laboratory. What are we trying to save? More than the opportunity to stand at the edge on a spring afternoon while the sound of young frogs rises around you and a muskrat swims slowly from one bushy clump to another, more than the chance to kneel down to watch spiders at work or the shoots of wild iris spiking up from the dry bed of last year’s grasses. We hope to save an area large enough to have its own natural laws, which can in turn lead young minds to inquire…. HATPIN and other supporters of the Sibley Marsh pushed for its preservation for the benefit of local students. This state and nationwide push for education heavily influenced Northfield and its surrounding areas. In the news, Northfield residents read about outdoor classrooms everywhere, from the nearby Roseville, Maple Plain, and Richfield, to Washington D.C. “Some plans across the country are grand and expensive,” explained an article of the Northfield News, “and some are relatively simple like that of the Sibley marsh. But all give youngsters a chance to learn first hand what their grandfathers took for granted in the great outdoors.” Due to the increased focus on environmental education in the 1970’s, the ladies of HATPIN appealed to the community to turn the Sibley Marsh into an area that would promote educational benefits, as well as students’ deeper appreciation of nature. A letter written in 1971 to the school district listed ways the Sibley Marsh would “provide an excellent teaching facility.” The most practical reason was that first hand observation was better than learning from books in a classroom, and the proximity of the marsh to the elementary school made it infinitely more useful. More idealistically, the marsh would allow a child to “feel a part of and respect for the natural world by association and better understanding.” The marsh’s importance centered not only on its ability to educate students on the biological cycles of local plants, insects, and animals, but rather for its ability to create a more meaningful connection between people and nature. HATPIN fundraised throughout 1971 to purchase the marsh for the school district. The Northfield News published Northfield residents’ viewpoints to spread awareness of the movement and gain more financial support. The community greatly supported the preservation effort. Many residents wrote that the marsh “would be an ideal place for students to use as an outdoor laboratory,” and even some elementary students sent in their experiences with the area. “I like all the tracks,” a Sibley Elementary third grader reported after his class took a walk-in field trip to the marsh. “I saw a lot of pheasant tracks in the wintertime. I saw how it changed from fall to winter. I saw how the trees had grown. I think we should keep Sibley Pond because we are destroying too much nature… A lot of animals will have to leave their homes.” These personal stories from Mrs. Weigert’s third graders effectively demonstrated the impact the marsh had on young students. By the end of 1971, HATPIN had successfully raised enough money to purchase the marsh for the school board, and formal lesson plans were created for the fourth and fifth graders of Sibley Elementary. HATPIN officials composed detailed unit lessons for students that included classroom and field trip objectives, worksheets for students, and a guide for leaders. The guide for leaders outlined how to direct class observation and subsequent discussion. It aimed to show children “the interdependence of life in the marsh and prairie, of the habitat differences, and of the dependence of the marsh environment on adjacent environments,” by discussing life cycles of the birds, insects, and grasses, as well as the effects of weed killer on the food chains of these organisms. Students were responsible for listing characteristics of a marsh and prairie, to discuss reasons for maintaining the land and brainstorm how the students themselves could be involved in the preservation of the area. Students’ responsibility went beyond memorizing life cycles and the hierarchy of the food chain; they were encouraged to understand their role in nature. HATPIN’s goal was to preserve natural areas to improve understanding and promote environmental activism within Northfield students. Members raised support from the community, and engaged the students through hands-on learning that was becoming popular due to federal and statewide support for environmental education. HATPIN officials helped students realize their actions had an impact on what happened to the meadowlarks, dragonflies, and the soil of the prairie, and fostered a discussion that allowed them to be proactive in doing their best to preserve their environment. While HATPIN ended in the late 1980s, the results of their efforts endure. Sibley Elementary teachers continue to take their students out to the marsh on nice days to study the plants and animals. Today, teachers and students preserve the environmentalism HATPIN worked so hard to instill in Northfield youth. “Sibley Marsh and Prairie | Sibley Elementary School.” Northfield Public Schools | ISD #659. http://nfld.k12.mn.us/sibley/about/marsh/ (accessed May 7, 2013). Northfield News, “Children study in outdoor classroom,” April 22, 1971. Paul Jensen, Professor of Biology at Carleton College, to the city of Northfield, December 4, 1970, Northfield Historical Society. Northfield News, “Marshes are ‘busting out all over’,” October 14, 1971. Minnesota Association for Environmental Education – History of EE in MN.” Minnesota Association for Environmental Education – Home. http://www.minnesotaee.org/Default.aspx?pageId=689865 (accessed May 7, 2013). J.May, to the Northfield School Board, November 15, 1970, Northfield Historical Society. Northfield News, “Sibley Marsh viewpoints reported,” April 29, 1971. Buchwald, Cynthia. Interview by author. Personal interview. Northfield, MN, April 25, 2013. Cantwell, Nancy. Interview by author. Personal interview. Northfield, MN, April 22, 2013. Child, Nancy. Interview by author. Personal interview. Northfield, MN, April 27, 2013. “Field Trips with Children – Guide for Leaders,” HATPIN, 1984, Northfield Historical Society. Heiberg, Corinne. Interview by author. Personal interview. Northfield, MN, April 29, 2013. “Minnesota Association for Environmental Education – History of EE in MN.” Minnesota Association for Environmental Education – Home. http://www.minnesotaee.org/Default.aspx?pageId=689865 (accessed May 7, 2013). Nancy Cantwell, to the editor of the Northfield News, April 29, 1971, Northfield Historical Society. Paul Jensen, to the city of Northfield, December 4, 1970, Northfield Historical Society.